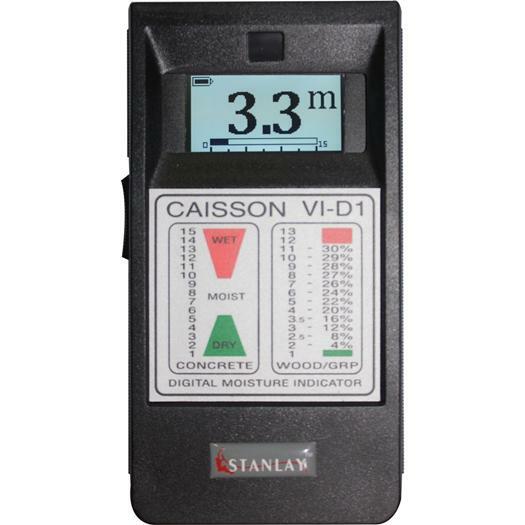 Stanlay concrete moisture meter is a perfect solution to identify and monitor moisture in concrete. Due to the small, fast sensor of the Hygropin, diagnosing moisture according to ASTM F2170 is quicker and easier than ever before. Identifying the Presence of Moisture: Excess moisture in concrete can be fatal to a floor covering installation. To prevent mildew and major damage, the flooring industry requires smart testing solutions to check surfaces for moisture prior to installing floor coverings or coatings. The in-situ technique has proven to be the most reliable method since it measures directly where the moisture hides: below the surface of the concrete. 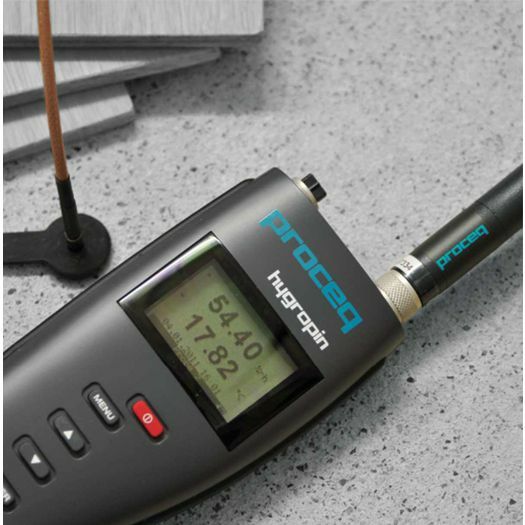 Application: The relative humidity test outlined by ASTM F2170 requires placing a measuring sleeve at a specific, well defined depth in the concrete. 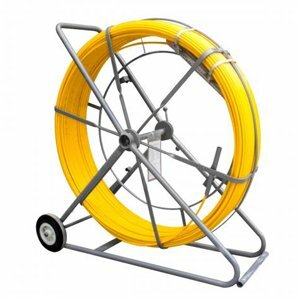 This can be done either by drilling a hole or by pre-installing cast holes in fresh concrete. 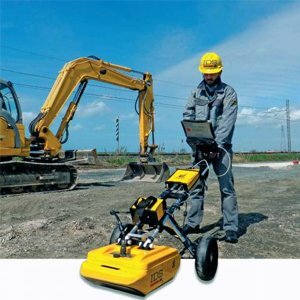 Proceq Hygropin Concrete Moisture meter offers the best solution for both procedures. The Hygropin provides the smallest available sensor on the market, minimizing damage to the surface and reducing the installation efforts immensely. Due to the small air volume of the test sleeve, the humidity equilibrium process is extremely fast. Comfortable: Two independent sensor channels can measure ambient and concrete characteristics simultaneously. 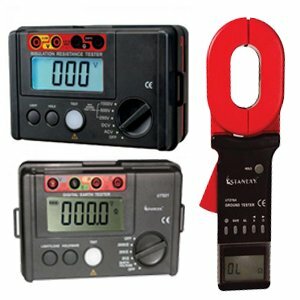 Wide Measuring Range: Measures relative humidity, temperature, dew/frost point, etc. 0…100 % RH / -40…+85 °C (-40…185 °F). Minimal Invasive: Highly integrated sensor with only 5 mm / 0.3" diameter for minimal efforts on site Durability: Stainless steel housing of the sensor for long lasting performance in rough environments Data Logging / Storage: The Hygropin can record data over a period of time for traceable information. 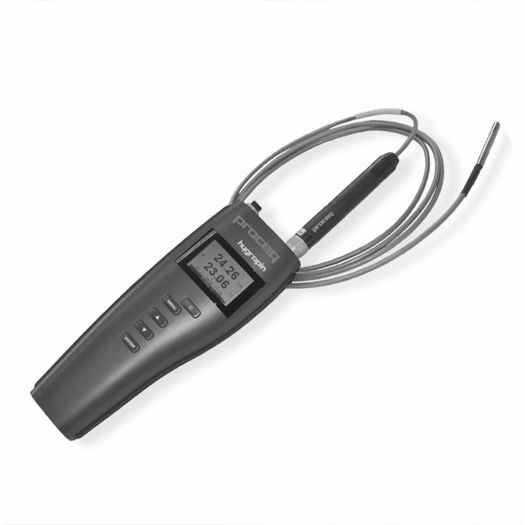 Depending on the settings this moisture meter is able to display relative humidity, temperature and calculated psychrometric parameters. 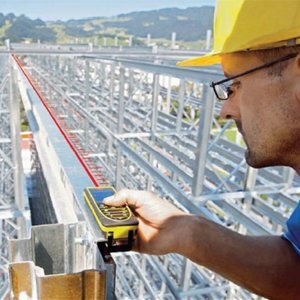 The two independent sensors channels of the moisture meter can measure ambient and concrete characteristics simultaneously.